We support you in every component of your software project, from head to tail. Advising, designing, forming, architecture and training of users. We have been doing it for 15 years. Want to develop a killer WebApp for your company? Whatever type of company you have and no matter how complex your business activities are, we ensure that IT-structures are easily integrated in your business processes. We do this with FileMaker Pro and Ruby on Rails. Since 1999 Kempen Automation specialized in the development of customized software on the basis of FileMaker Pro. 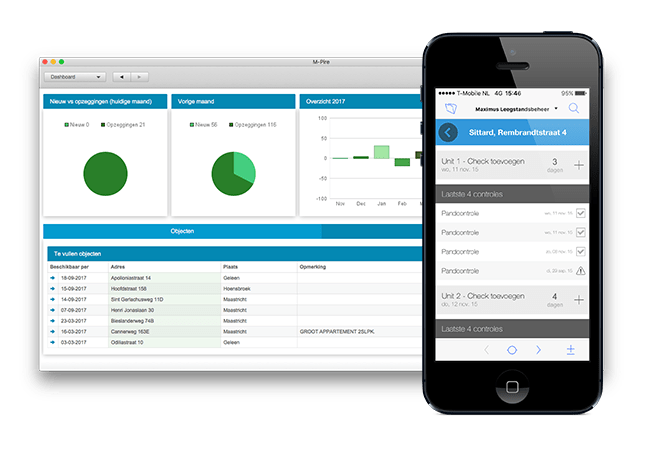 Since 2002, Kempen Automatisering has been part of the FileMaker Business Alliance, an alliance of companies that strive to develop tailor-made software of high quality. In 2012, the highest possible award was granted by FileMaker USA: Platinum certification. With this we prove the quality of our working method and delivery customization Kempen Automatisering developed for an large number of sectors and branches such us: Health, Private Finance and the Desktop Publishing sector. We do not impose a system on your company as consolidation point. Modular components that prevent the wheel from simply being reinvented. Integrate existing applications and prevent double work. Our developers are able to quickly get to the essence. We immerse ourselves in your company and in the processes that the App has to support. We do this through a series of sessions in which as much as possible knowledge is transferred between all parties. As a result, we work towards a final product that fits your company and your way of working. Because of this, new systems will be better received by users. The design of the database structure & Interface design. Development of the software on the basis of the structure & design. Monitoring of the use & the performance of the application. On the basis of the use and the new requirements, new requirements are divided over iterations. We approach every project in a unique manner. For example, one project might be "mobile first" from the beginning and another project is more focused on processing large quantities of documents. On the basis of an introductory conversation we get a better picture and the project can be given a better shape. On the basis of the type of project we set up our teams and planning. In general we like to see the following steps return. Not a bureaucratic process but a clear phased plan to come up with a beautiful project. FileMaker Pro is the technique that Kempen Automatisering uses to develop customized software. FileMaker Pro is known for its Rapid Application Development properties. Because of this developers can deliver results in a much shorter time frame than with traditional development platforms. In this first meeting we present the options in FileMaker Pro 16 and we can discuss your first, broad requirements. In these session(s) we discuss the requirements in more details in which the tables, fields and relationships between the tables are defined. This way our developers will get a good picture of which data will be worked with. Based on the previous sessions and our experience an estimate is made for the required budget. Our interface designers come up with a proposal of what the application could look like. As a result, the client and the end-user will immediately get a concrete picture of the 'look and feel' of the application. Our ‘senior developers’ develop the application on the basis of FileMaker, according to a priority in the agreed upon functionalities. This way, the most important points are finished off first, so that your company can use the application in short iterations. Your FileMaker environment is set up in a secure way so that your company can work with your FileMaker application via the Cloud. ‘Updates and upgrades’ are carried out in consultation. New requirements are inventoried and developed in a new iteration or project.